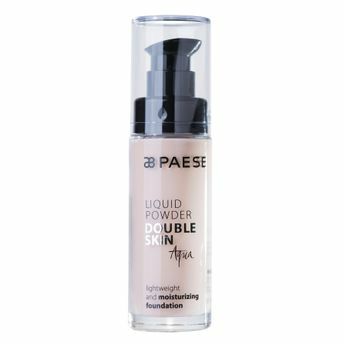 Paese Cosmetics Double Skin Aqua foundation is ideal for dry and sensitive skin. It creates a soft waterproof film that delivers velvet-like skin. This foundation contains a complex of vitamins A, C, E and F and silk amino acids thanks to which nourishes and moisturizes complexion. Silk Amino Acids: Provide excellent building material, permeating the outer layers of the epidermis, deeply combining and hydrating them. Explore the entire range of Foundation available on Nykaa. Shop more Paese Cosmetics products here.You can browse through the complete world of Paese Cosmetics Foundation .Alternatively, you can also find many more products from the Paese Cosmetics Double Skin Aqua Foundation range.